Note: Audio reading of John Barrowman's autobiography. 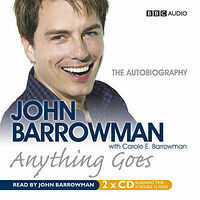 Multi-talented actor, singer and TV presenter John Barrowman reads his own enthralling memoirs. Anything Goes lays bare John's story for the very first time, in his very own words. 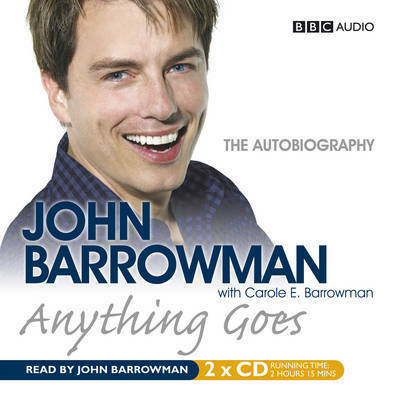 Describing his life from his Glaswegian childhood and American adolescence to his current incarnation as Captain Jack Harkness in the ever-popular Torchwood and Doctor Who, this CD provides a no-holds-barred insight into the extraordinary experiences of one of the best-loved figures in show business.